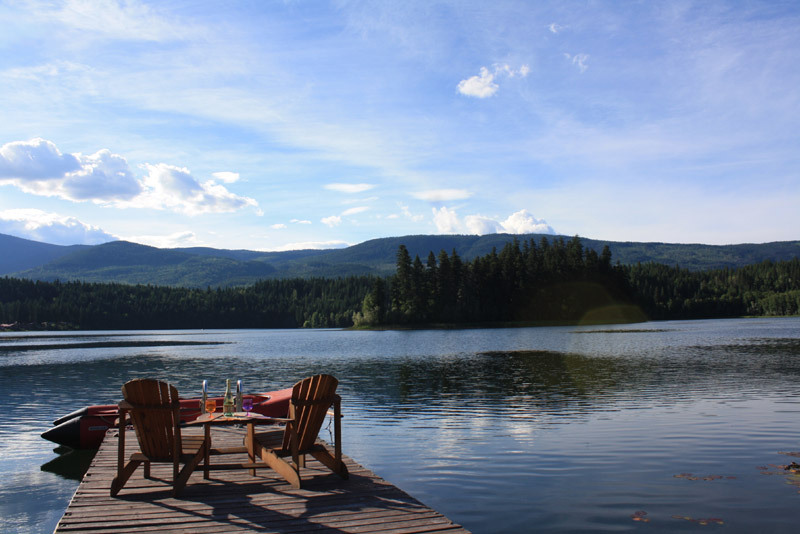 The Lakehouse is a luxury B&B located directly beside Dutch Lake. Their log cabin decor includes handmade rustic wooden furniture, and each room has a private terrace overlooking the lake. A hot, home cooked breakfast is served in the morning in the beautiful dining room. Stand up paddle-boards are available for usage, and there is also a dock to lounge on by the water. Their location within Clearwater provides convenient access to the amenities of town, while being within 45 minutes drive of the spectacular Helmcken Falls!